With millions upon millions of dollars being thrown around in free agency, the marquee signings—and the ones with the most money attached to them—will naturally generate the most interest, but some of the biggest impacts in 2017 could come from some of the more low-key signings. 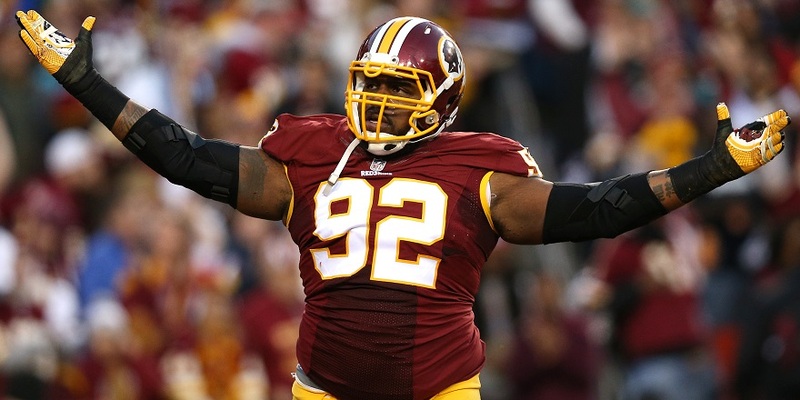 Chris Baker earned a PFF overall grade of 82.2 in 2016, ranking 18th among all defensive interior players throughout the league and posting his second consecutive impressive grade over a season. Baker earned solid grades against the run and pass, and notched 42 total QB pressures while missing only four tackles all year. The Buccaneers have been trying to fill the spot at DT next to Gerald McCoy for some time, and they may have found the perfect body in the shape of Baker, who was deemed surplus to requirements in Washington. Every time J.C. Tretter has seen the field, he has graded well, and has earned a shot to start in the league. This past season, he started seven games for the Packers and earned a top-five grade by the time Corey Linsley took over. Tretter allowed just eight total QB pressures across those seven games and allowed four total QB pressures the year before on 35 fewer snaps. The Browns saw Cameron Erving surrender 29 total pressures in 2016 and suffered a similar issue in the run game. Tretter looks like a significant upgrade on paper—he just doesn’t have an extensive library of tape proving it yet. James Harrison is still a monster, despite being 38 years old. He didn’t start again in 2016 until Week 11 of the season, but from that point on, generated 35 total QB pressures in nine games. He was arguably Pittsburgh’s best player in the postseason, notching three sacks, two hits, seven hurries and 11 defensive stops in the Steelers’ first two playoff games. Harrison’s age prevents him from getting a big-money deal, but he is still playing at an incredibly high level, and figures to be one of the Pittsburgh’s most important defenders again in 2017. Stefen Wisniewski has never really graded badly over a full season in his NFL career. He earned impressive grades at center for the Raiders for the first three years of his career, allowing just two sacks in those three seasons before a relatively average season in 2014. He then went on to have an inconsistent season for the Jaguars before another up-and-down year at guard for the Eagles, helping to patch Philadelphia’s offensive line when injuries struck. Wisniewski, though, has always demonstrated that he is at least a capable starter, and also that he has positional versatility. He could provide a big boost for the Eagles again in 2017, rather than causing chaos when injury forces a sub-par player into the lineup. It’s not easy to generate pressure within a Houston defense boasting J.J. Watt, Jadeveon Clowney and Whitney Mercilus, but John Simon held his own in 2016 before injury shut him down. He notched 26 total QB pressures in 205 pass-rushing snaps and was grading well against the run, notching 23 defensive stops. Simon has earned himself a shot to start, and the Colts have starting spots on the edge available for a player to stand up and make their own impact. Simon doesn’t have an extensive history of proven play from a starting spot, but he could become a steal if he can continue that play in an expanded role. Stephen Paea hasn’t started since 2014, but that season was the best of his NFL career, and he has played well in limited action since overall, though his game-to-game play has been inconsistent. He has the ability to generate pressure as a situational player for the Dallas defensive line, with 13 total QB pressures in 139 pass-rushing snaps for the Browns in 2016. It’s difficult to overstate how impressive Pryor’s 2016 was given that it was his first year playing wide receiver. This time a year ago, there was speculation about whether he would even make Cleveland’s final roster, but he turned out to be their No. 1 receiver and record 1,000 yards despite the Browns cycling through half a dozen quarterbacks—none of whom really propped up his numbers. 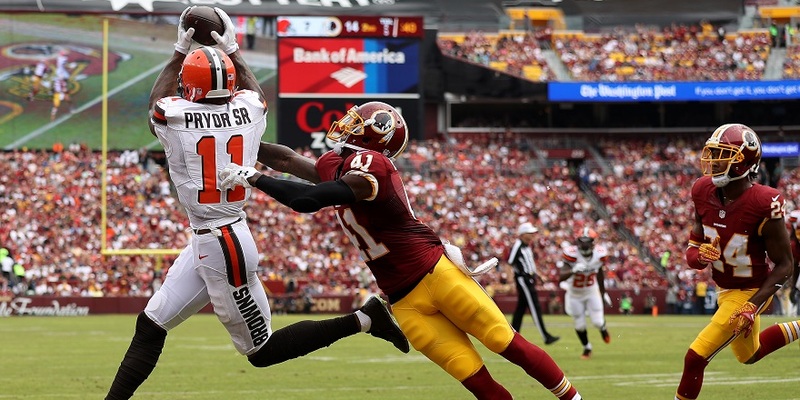 Pryor’s potential is still sky high, and Washington just got him on a modest contract to see if he can take another step forward before trying to re-sign him to big money a year from now. Over the past two seasons, Patrick DiMarco has been the league’s best run-blocking fullback, and though the position is waning in importance in today’s NFL, the Buffalo Bills have been a run-heavy team and may be embracing that even more going forward with a new coaching staff. As long as they intend to maximize their run game, they have secured maybe the league’s best fullback to achieve that, and done so for just $8.5 million over four years.